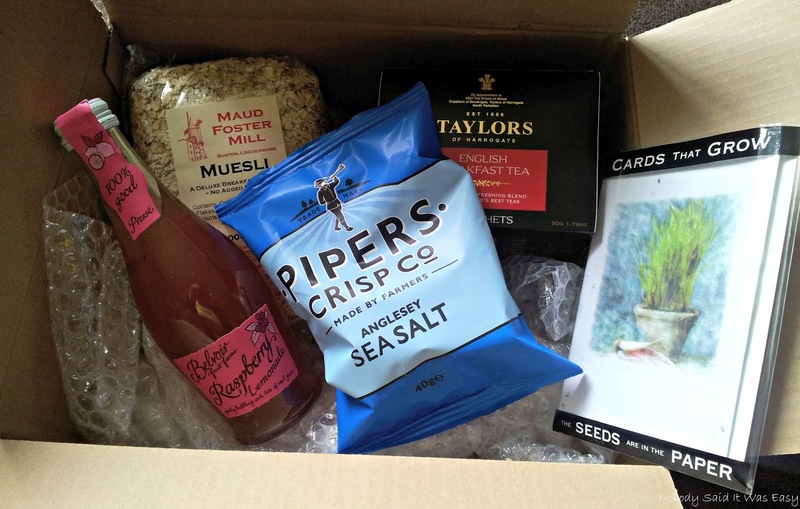 I was rather excited to receive my first foodie penpals parcel! I opened the package and there were lots of goodies inside, so I couldn’t wait to get them all out and have a look. There was a wide variety of items, each based on each of my preferences which I was happy about. Though I have to admit I have only tried a couple of them so far, but all will be used in due course! The first item I had to try which got me rather excited and looked rather interesting, was the ‘Malt Salt’. It is a salt flavoured with vinegar so you don’t get soggy chips! My verdict, one of the best foodie seasoning inventions ever, I’ve used it 4 times so far and only received it last week! (Yes, we’ve eaten a lot of (oven) chips recently…) It obviously still tastes of salt but the vinegar flavour is prominent too. I also tried the ‘BEAR’ raspberry fruit yo-yo’s. These were lovely & tangy and I would probably buy them again for a sweet treat! Then I tried the ‘The Food Doctor’ roasted bean mix. I was a bit dubious at first, they do look nice, but some of the beans I haven’t tried before. They are an acquired taste, but the second time eating them was nicer than the first! They will be eaten, albeit by the handful, as I do need them for the energy nowadays to keep me going for longer. Another couple of things my penpal included were Thai red & green curry pastes. These are to get my spice kick with having to stand grinding spices for hours when I don’t have the time lately. And the chamomile tea, I will drink at some point this week when I get a few minutes to myself! Thank you to my foodie penpal, Hannah, for a fab parcel. Here is the parcel I sent to my other penpal, Christine. She is vegan so it was a difficult (but enjoyable) task for me, having never needed to buy food suitable for vegans before. I gave myself the brief of sending products that had been produced locally, in the Yorkshire & Lincolnshire region. Well, our local farm shop came up trumps, after wandering around checking labels for half an hour! But it was worth it as the parcel was very much appreciated. That salt with vinegar looks fascinating…I must look out for it! 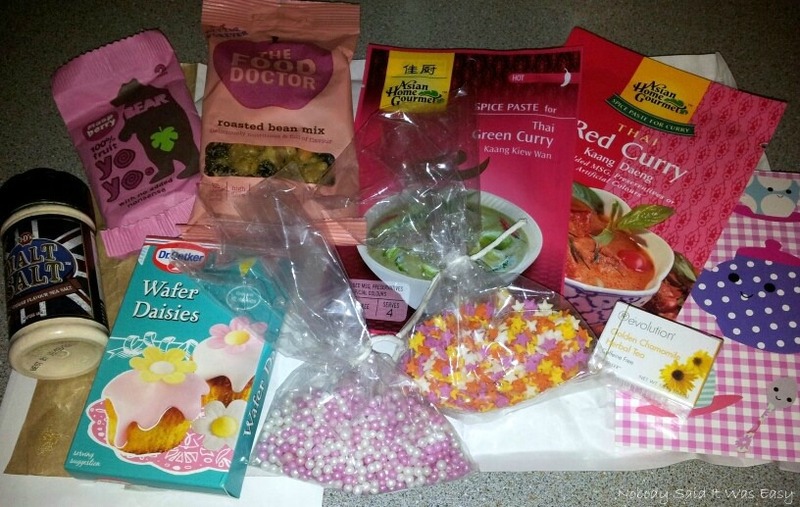 I have just joined Foodie penpals as it looks so exciting! Pressies! I can't wait to get started. And vinegar on chips is just wrong.